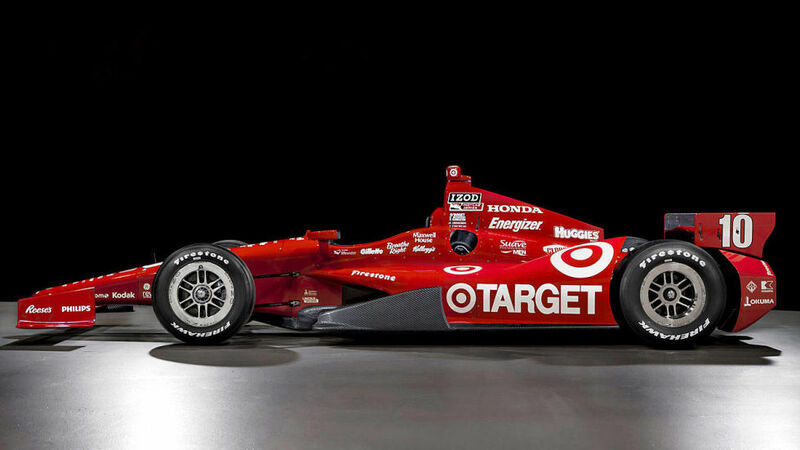 Some more images of the Universal Bodykit have been released by IndyCar. It would appear they have narrowed down what they want the cars to look like. Because it is only one 2D side image, and a current car is laid over it, I'm having a hard time focusing on it long enough to decide just what an improvement it is - visually. Generally, I do like it a lot. That's a bit better than the current car. Makes it look like a real racing car. Agreed! From this angle, the change to the engine cover looks hugely dramatic. But it shows you what can be done when you change where the car is breathing from. I like it a lot. It looks more like the IL-15, which I quite like. Makes me think this will be a Dallara project - why add in another manufacturer? Unless that comes with a paycheck, I guess. Even the Panoz DP07 looked a little bit long in the rear, this car appears to be much shorter in the rear than a lot of modern IndyCars have been, but surely that must be entirely down to removing the rear wheelpods and cutting away at the bodywork; as the tub won't be changed in this process. Have to wonder if this will make the car less rear-end-biased in accidents. I also like how much further forward bodywork appears to go on the sidepods, with the inclusion of the radiators, seems a common sense way to improve the crash-suitability of the car. Are the rear wheel guards going then? Looks like it, but the series has said nothing of the sort. Only that they want to make the car more "traditional" looking. That has been clamored for even more than the lowering of the airbox. I didn't think they could make a car uglier than the Dallara IR05, but I look back fondly at that car compared to the DW12. This looks short, athletic, angular, and I'm excited to see how it performs. The article mentions testing by midsummer, I wonder if Mid-Ohio (ahead of the race) is still on the table. Even more on the 2018 aero-kit. Why didn't the ICONIC committee opt for something like this, instead of the DW12? It really is an improvement. The sidepods look very DP01-ish. 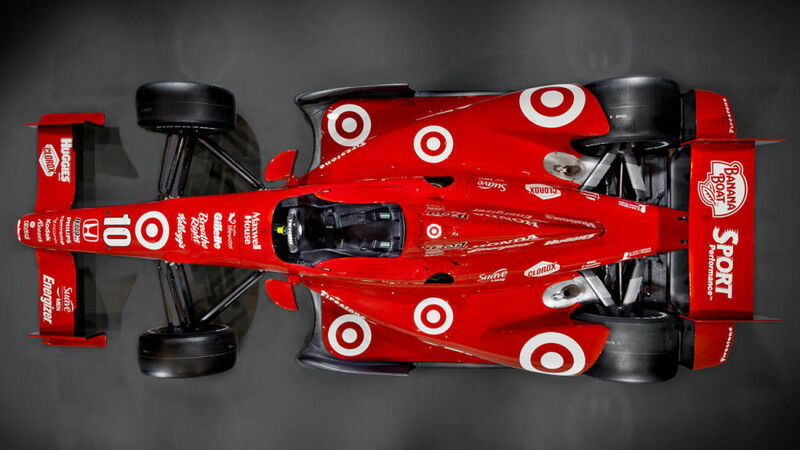 The overhead view also makes you realize the changes aren't crazy extreme, but even still the car looks much better. Can't wait to see the real thing! It still is the DW12 isn't it. Same chassis - different aero kit? The letters DW were adopted in memory of the late Dan Wheldon, who did the initial testing. It would seem Dallara are now using the designation IR-12 because of updates to the original chassis, the side-pods and re-positioning of the radiators but your missing the point. Back in 2010 when the ICONIC committee discussed replacing the Dallara IR-05, a number of chassis manufacturers, including Dallara, proposed a similar design to the 2018 IR-12. This was one of Dallara's original concepts and is not too far off the IR-12, minus the shark fin. Instead we got the DW12, which I remember, was not met with a very favourable response plus it had various technical issues. Hence my question, why didn't the ICONIC committee opt for something like this, instead of the DW12? It definitely looks better than what we have right now. But I still think the front part of the car can be improved. In my opinion, I think the front wing can be brought a bit closer to the rest of the car. Also, apparently the rear side pods will still be used at ovals, but not road courses. Sponsoring the side of this new car is going to a nightmare though. Looking at this post from IndyCar on Facebook, there will be an announcement on their website about the 2018 car at 2:00pm ET. Pr'tty pictures of the road course car, on the way. IndyCar.com have released the “NEXT” concept images of the 2018 car.